It’s been a looooonnng week! I was away from home all week for work and my nails were looking a hot mess! One of my first stops after being reunited with my own vehicle was the nail salon! I also needed more of an awesome conditioner that did wonders for my hair the other week at Sally’s so I figured while I was there I’d pick up a new color to take with me to the salon! Do you take your own polish to the salon too? Really my reason is that I can extend my pedi’s life by touching up the chipped polish if I have my own! Here’s the polish that I’m wearing. It’s by China Glaze and called recycled. It’s a really pretty grey. I really am on a grey kick, anything from polish to clothing to accessories, I’m loving anything grey right now! Have you found any cool, new colors that you’re loving for fall? And are you also in love with grey? Love this nail color! Had mine done in one of the latest OPI fall collection. 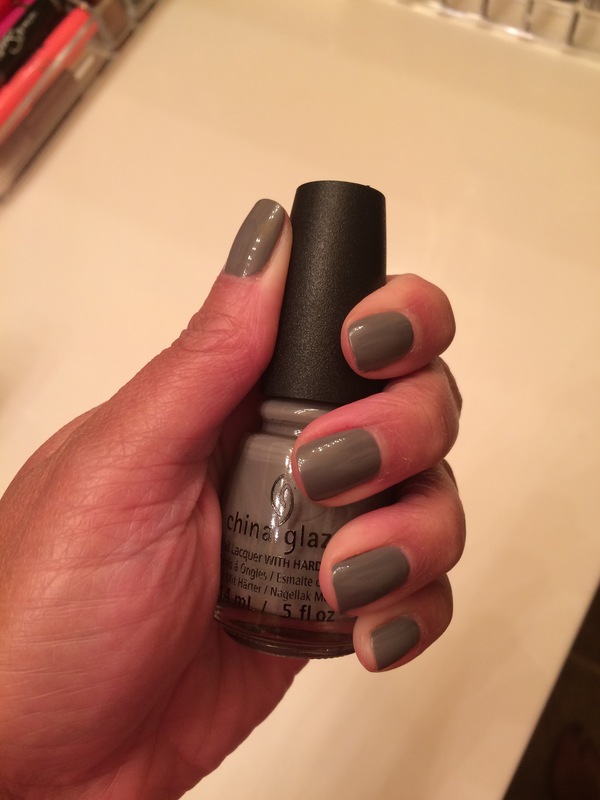 Grey is such a understated nail color! Received a ton of compliments too! Yours looks fantastic! Great color choice! China Glaze a ton of nice colors also and much more affordable! Thanks 😉 I agree, grey is my new fav neutral!